Good morning and happy Monday, welcome to April! We have a new challenge over at Country View Crafts which is Spring and/or Easter, and this time I've gone for an Easter card. This is a bit of a white cat in a snowstorm picture lol. 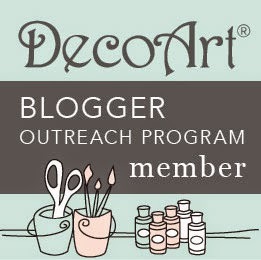 It's a Clarity stencil that I've gone through with Distress Inks and blending brushes. I've not used these brushes in years but I love the soft effect they give. The hares are from a Tracy Easson Wonky Tonk set that I got for Christmas. I've inked it within a couple of months so that's a result for me. I water coloured them very simply with Distress Ink and then stamped the sentiment. I tried masking it for the corners, but ended up just cutting it up. Much simpler lol. I think the hares look lovely with the stencil, and as it's 7x7 it's perfect for an 8x8 card. 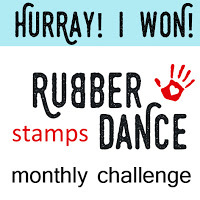 I hope that you will join in with our challenge, and that I'll see you over at the Country View Crafts blog. Great card, Sue. 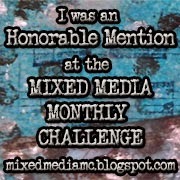 I love the background!!! 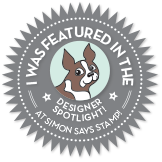 This is a stunner, Sue - love those stamps! They're gorgeous. Awww! 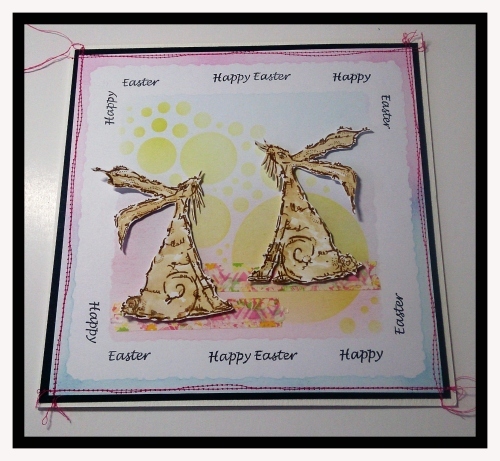 Love the hares and this softly coloured card Sue! 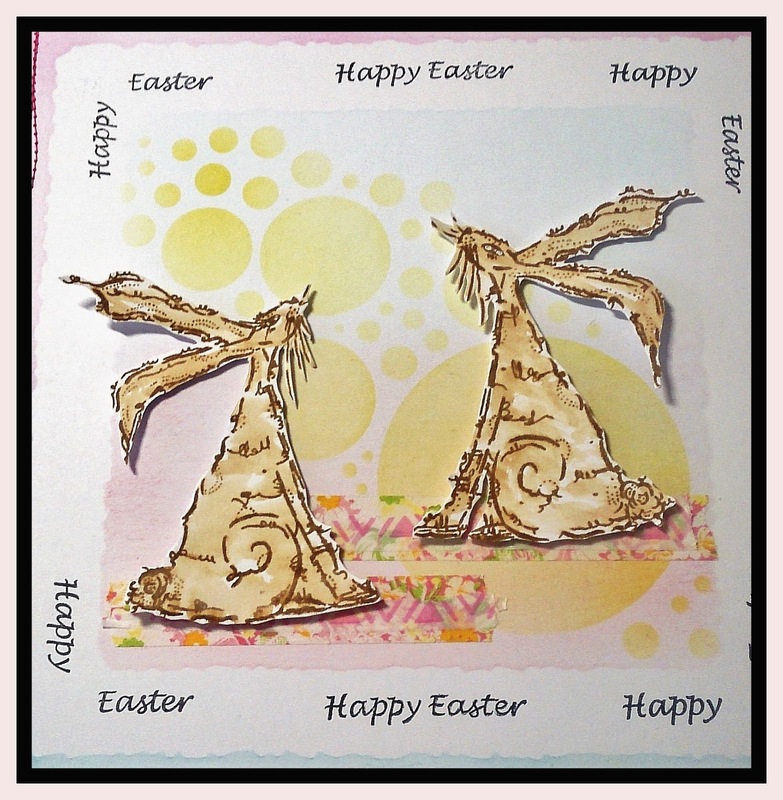 Those Wonky TOnky rabbits are fabulous and you make a glorious card with them. I absolutel love it ! 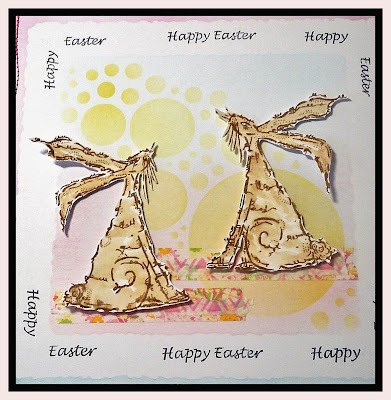 Stunning card Sue, love the stencil background, perfect backdrop to those funky hares!!. Bryan. That's a very nice card, I like the colours you've used. What a GREAT card! I love those hares! Beautiful card, Sue! I love the funny hares! 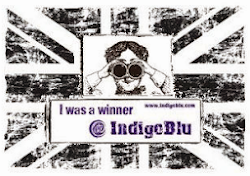 Your writing made me laugh too.